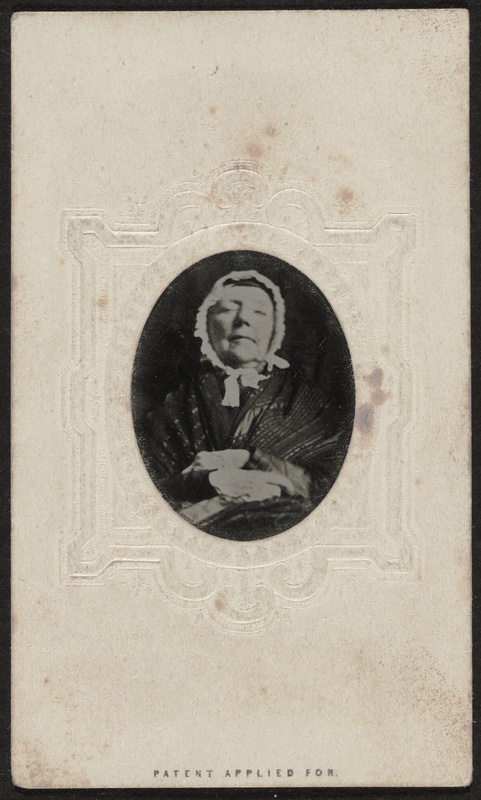 The only known photographic likeness of Mary Moody Emerson, a posthumous “tintype,” an early form of photography, surfaced in fall 2008. It is currently held at Harvard University’s Houghton Library and can be viewed below. *2008M-92 (b). Houghton Library, Harvard University.